Most Canadian cell antenna lease consultants work for the cell carriers. Canadian cell carriers have the deep pockets. Carriers use many consultants to handle site acquisition, renewals and lease extensions for the 18,500 cell sites in Canada. Finding a consultant that only represents your needs and not the carriers can be hard to find in Canada. Canada’s premier cell antenna lease consultants – Antenna Management Corp. (“AMC”). 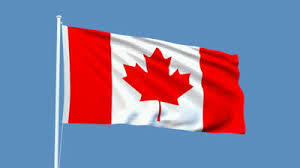 We have assisted Canadians from Victoria to Halifax since 2010. How did AMC get into cell lease consulting? In 2009 Roy Bennett worked for 6 months with a cell site acquisition consultant to open up cell sites for a national carrier on Vancouver Island between the Ferry Terminal and downtown Victoria. We were provided a “standard lease” agreement and instructed to sign up property owners “as fast as possible for as little as possible”. Sound familiar? The terms of the lease agreement were not favorable for the property owners. They really did not understand the telecom terms. Their lawyers were not lease experts – guess who has those? I checked around to look for cell antenna lease consultants that only represented property owners. I could not find any. So Antenna Management Corp. was born with the mandate of only representing property owners. We have learned a lot. Our clients have been good to us and we care about their needs and goals. AMC lease consultants create contracts that satisfy the goals of property owners while maintaining positive relationships with Canadian cell providers. AMC also works with property owners with existing leases looking for opportunities and options. For the right cell antenna lease consultants to help you anywhere in Canada , please consider Antenna Management Corp.
Google us and others and make your choice. This entry was posted in Cell Towers, Lease Negotiations, Rates & Contracts and tagged Canadian cell rates, Canadian lease compare, cell lease consultant, cell negotiations, CELL RATES. Bookmark the permalink.